When an employee has been out to work on sick leave or maternity leave, a special "welcome back" is always appreciated. A warm welcome helps smooth the transition for the employee and the rest of the team. Review these tips for welcoming back an employee from sick or maternity leave, with example letters for both sets of circumstances. When a coworker is out on sick leave, coming back to work can take some adjustment, not just for the employee but his colleagues and boss too. Scheduling. Will the employee return to full-time work or on a part-time basis? Will he need flexible hours? Shorter work days? Telecommuting options? Accommodations. 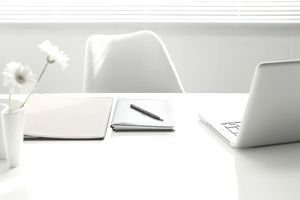 Does the employee require any accommodations in the office (e.g., a more ergonomic workstation, a cubicle closer to the bathroom, elevator use rather than stairs, additional work breaks)? Workload. Does any work need to re-assigned to other coworkers? Also meet with the worker's colleagues to ensure that everyone understands the situation upon his return, keeping the discussion positive and upbeat. Personally greet the employee on his first day back. Bring him up to speed on any significant company changes or updates during his absence and help him get back into the flow of daily work, emails, meetings, etc. Be patient during these early days. It may take the employee time to adjust and get back into the groove. Sick leave can be due to physical or mental illness, and it may be the short or long term. Regardless of the issue or how much you know about it, offer kindness, sympathy, and understanding for your coworker who has gone through a hard time and may still not be fully recovered. Allow your coworker to talk as much or as little as he wants about his illness and absence. Don't overwhelm him with questions, lay on the sympathy, or act like nothing happened. Offer your support, letting him know that you're grateful and relieved to have him back and that your door is always open. Here's a sample welcome back letter to send to an employee who has returned to work from sick leave. Welcome back! We are so happy to have you back at the Sunshine House. We've all missed you, and the residents have been anxious for your return. We were worried about you during your absence, and I speak for everyone here when I say that we are all thankful for your quick recovery. Take whatever time you need to settle in and get back up to speed. We're grateful to have you back so soon. Every woman feels differently upon returning to work after maternity leave, and the first weeks back can be a big adjustment accompanied by a mix of emotions. Colleagues want to be supportive but often don't know the right thing to say and may end up putting their foot in their mouth with a comment like "Do you miss your little girl?" Here are some ways to congratulate a new mother, welcome her back to work, and ease the transition. Bring flowers: When a group of colleagues buys a new mom flowers at the office, it's an instant bonding experience. It's a lovely gesture that says they share in the beauty of a new baby as well. Show empathy: Ask questions, look at pictures, offer hugs, and tell the new mother that you understand she may not be ready to come back. While you may not have the power to grant your co-worker more time off or flexible hours, letting her know that you are there for her is good emotional support. Organize a group of fellow mothers: Are there other new or nursing moms in your office? Get them together with a private email group or during lunch to commiserate and share how they handle the obstacles. Even if they don't directly work together or don't become fast friends, it's helpful to have a fellow mother who understands how difficult it is to return to work after maternity leave. Having someone who understands and whose door is always open goes a long way towards support. Schedule a "bring your baby to work" day: Babies can be passed around and pictures taken with lots of oohing and aahing, allowing new mothers time to show off their children. Take the new mother to lunch: Let her sit back, relax, and take a breather from the hectic and challenging life of working while coping with the stresses of being a new mother. Here's a sample welcome message to send to an employee who has returned from maternity leave. It's great to have you back in the office after your maternity leave. I hope you'll find that Suzanne did an excellent job of keeping things organized in your absence. You do so much for everyone here that it was hard to keep up! We are all grateful that you're back. Congratulations on your sweet, healthy little boy! He is adorable, and I'm glad that we were able to offer you the opportunity to spend these past few months at home with him.